Kazakhstan, officially the Republic of Kazakhstan, is the world’s largest landlocked country, and the ninth largest in the world, with an area of 2.171.300 sq km, bigger that the Western Europe territory. The contiguous transcontinental country in Central Asia is bordering China, Kyrgyzstan, Russian Federation, Turkmenistan and Uzbekistan. With a total of 12.185 km of boundaries, Kazakhstan has the longest common border with Russia – 6,846 km; 2,203 km with Uzbekistan; 1,530 km of common border with China, 1,224 km with Kyrgyzstan, and the shortest – 379 km, with Turkmenistan. 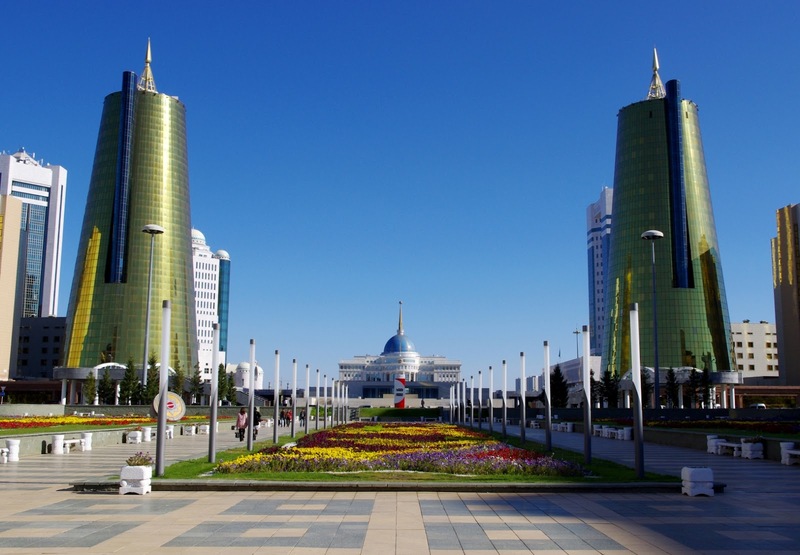 Being a country starched over a vast area in the northern and central Eurasia, Kazakhstan dominates the Central Asia region and the trade routs between east and west. Also, it is connected with the European continent through its small portion of the territory on the west bank of the Ural River, located in the eastern edge of Europe.